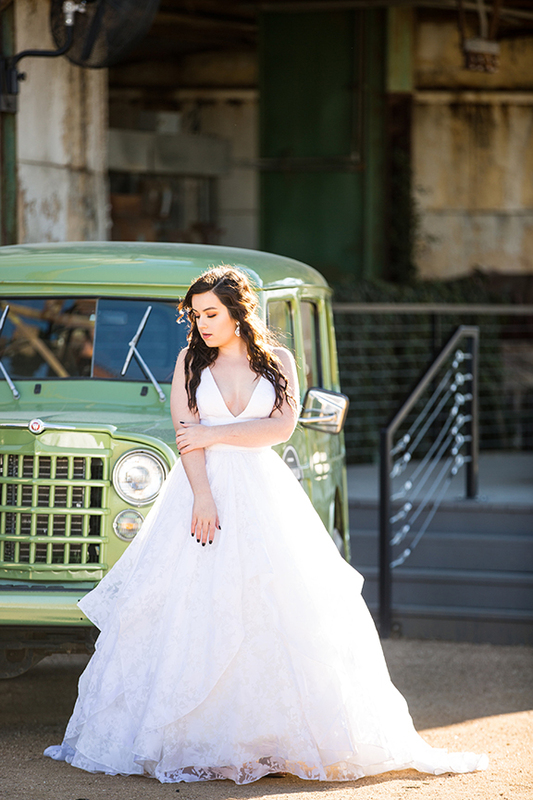 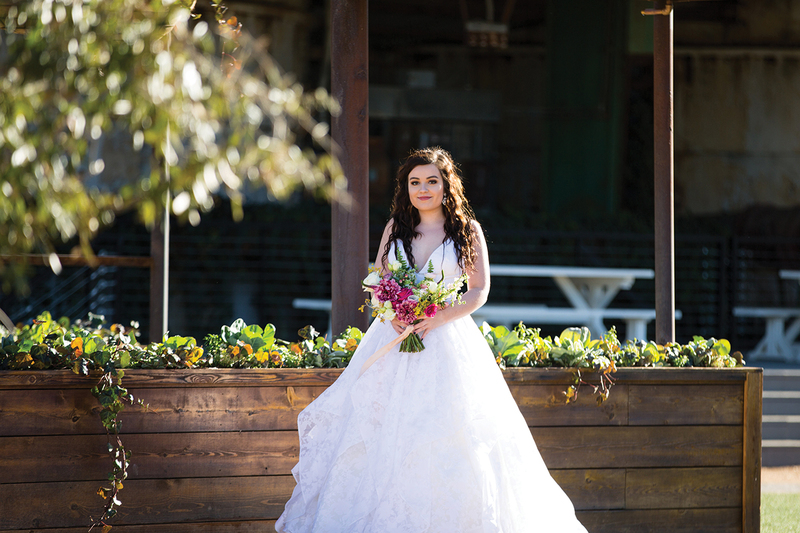 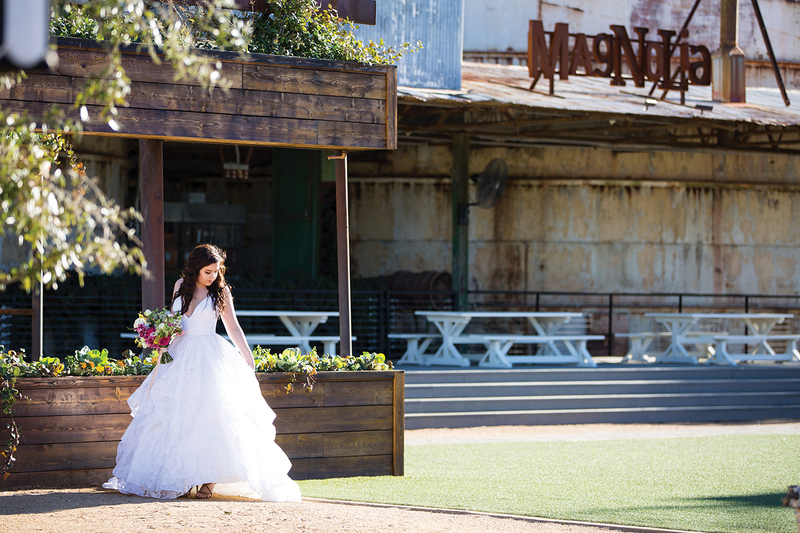 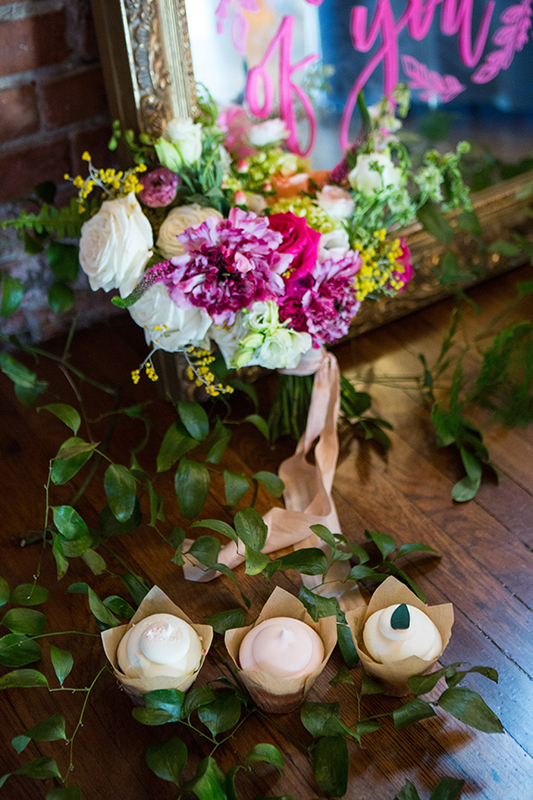 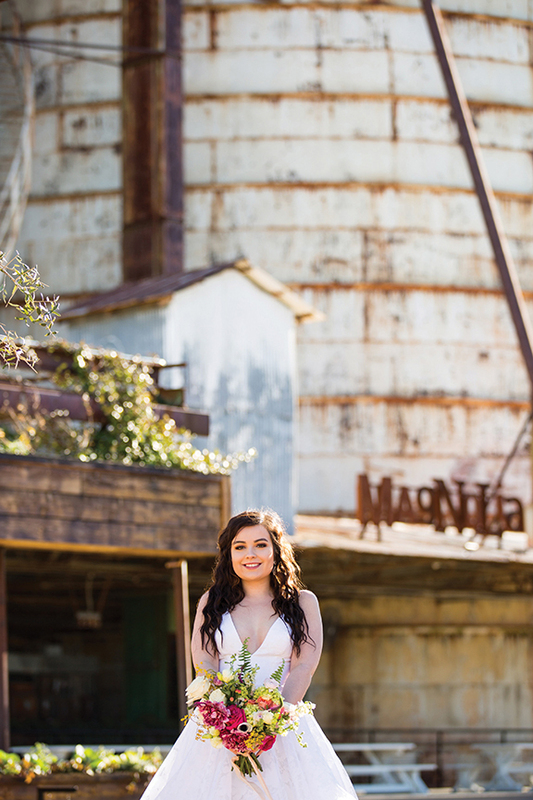 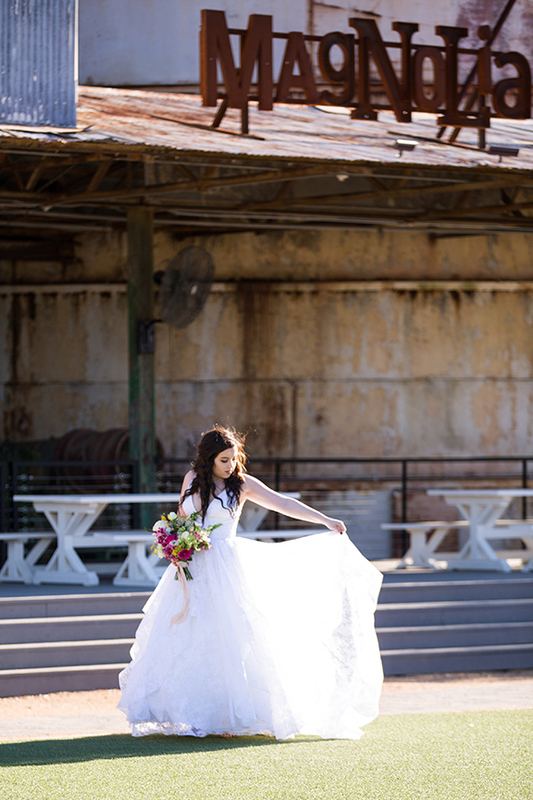 The Magnolia Market at the Silos created an industrial garden feel at this spring-inspired styled shoot. 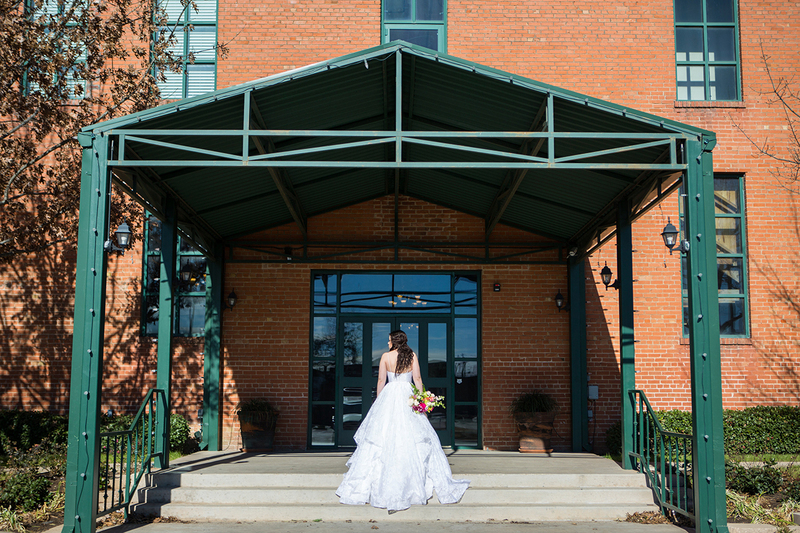 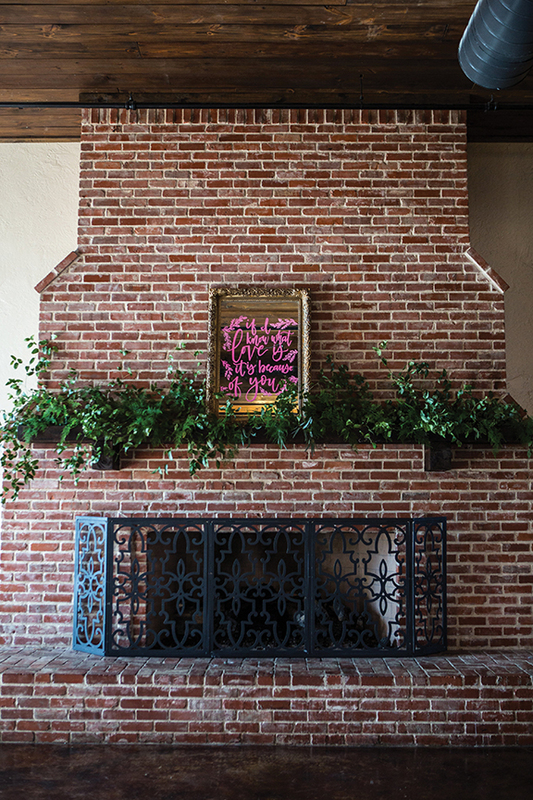 Copper-colored accents mirrored the vintage feel of the silos and the aged brick inside of The Phoenix reception venue. 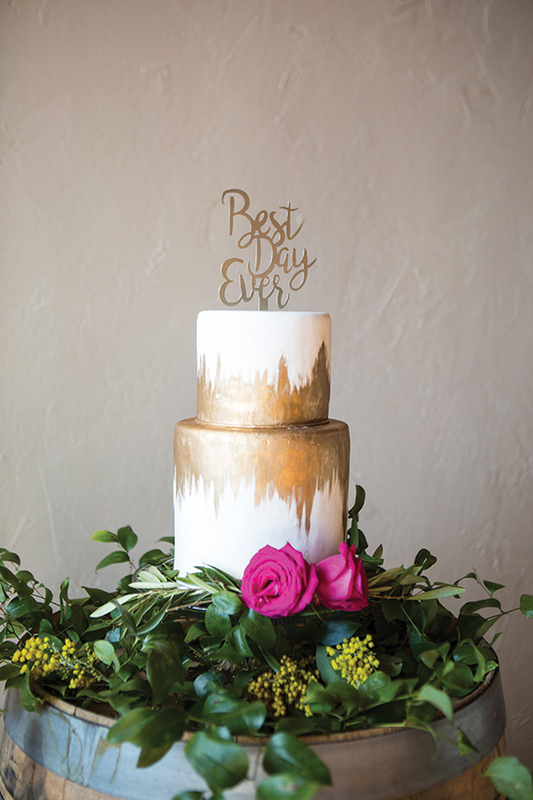 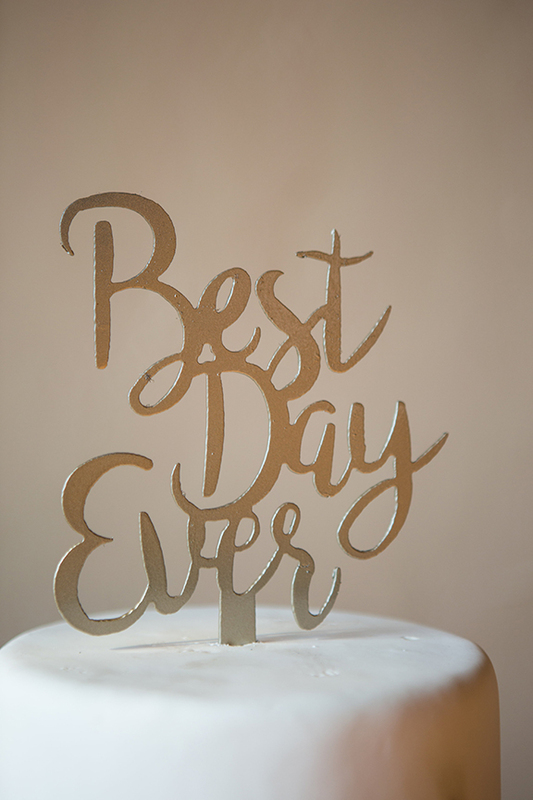 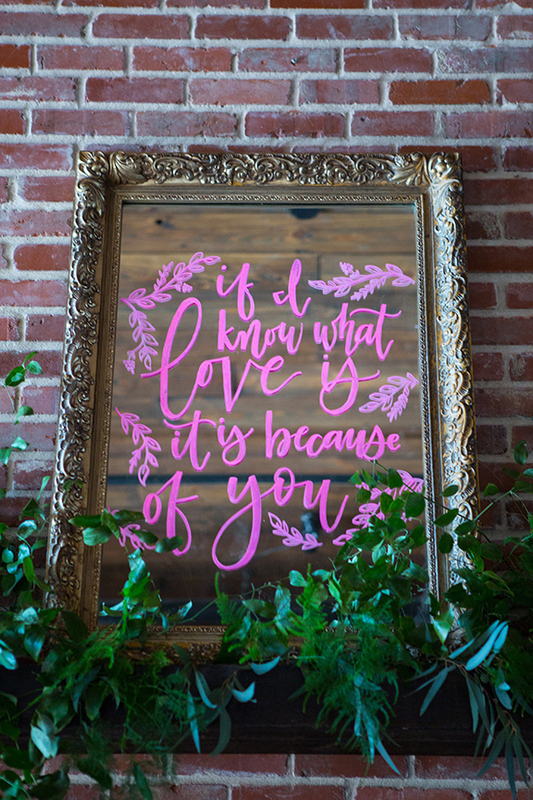 The color was further highlighted in the gold-leaf-style cake design and gold-toned cake topper. 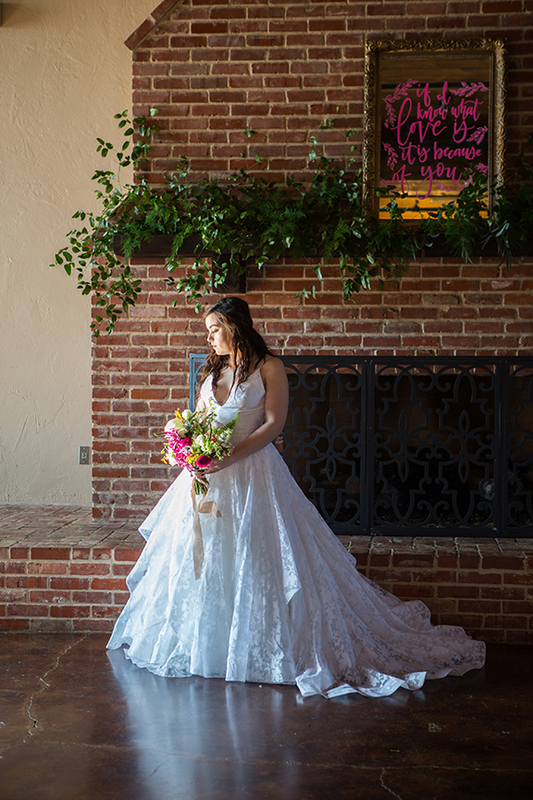 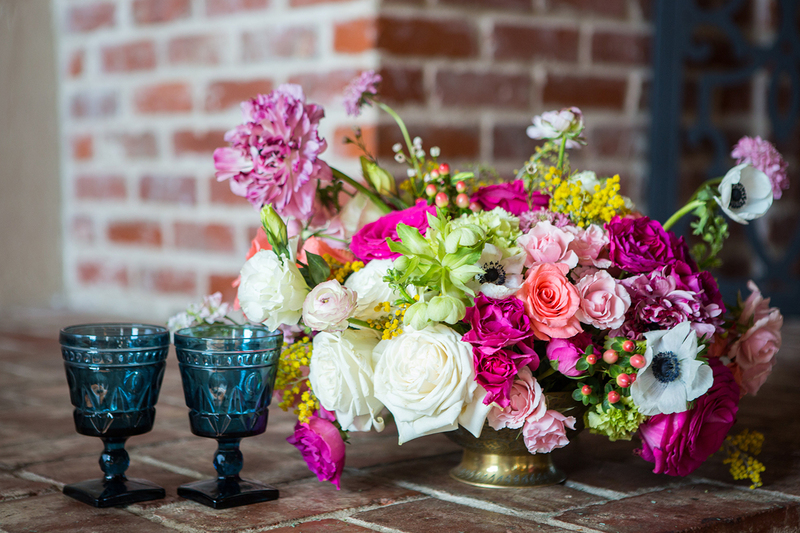 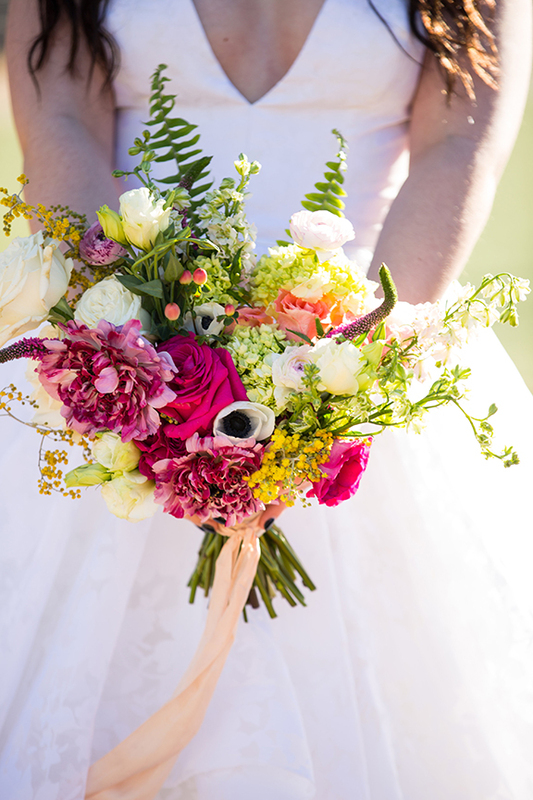 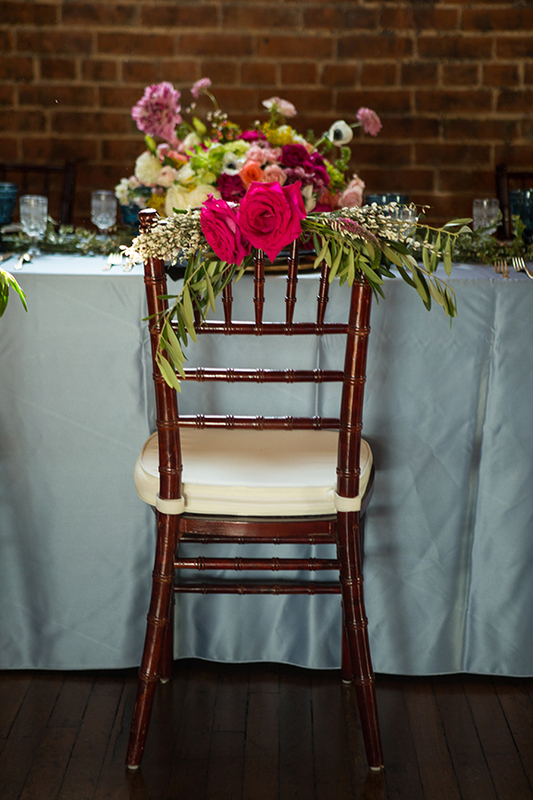 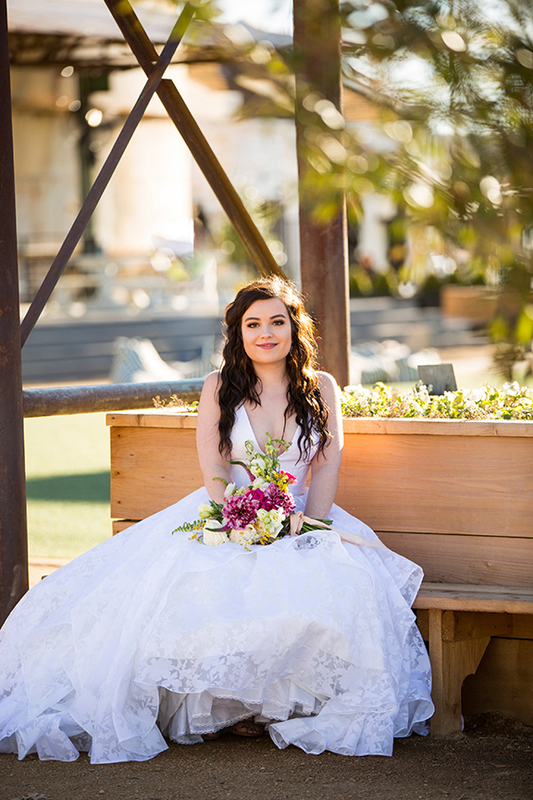 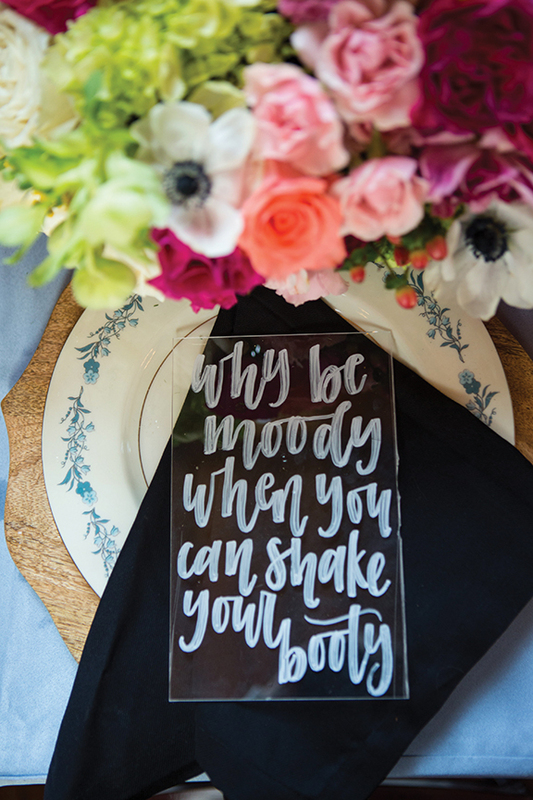 Flowers in bright seasonal colors highlighted the bride’s crisp white wedding gown and the bold black dinner napkins. 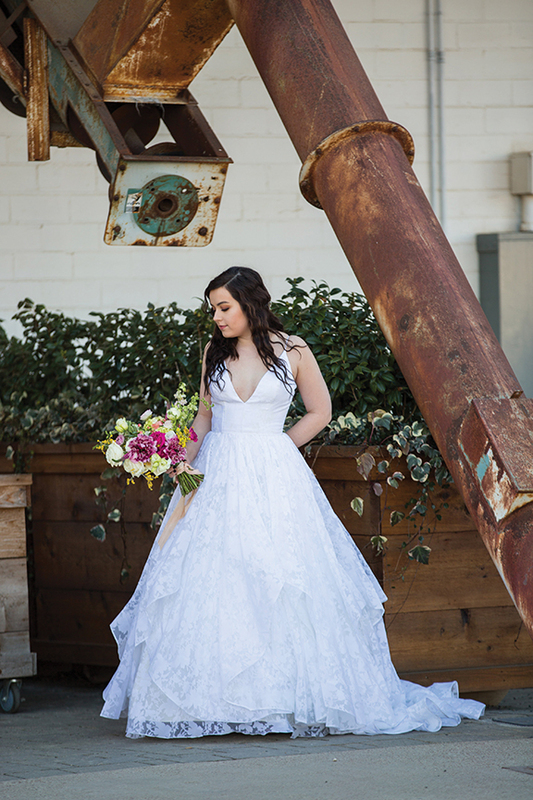 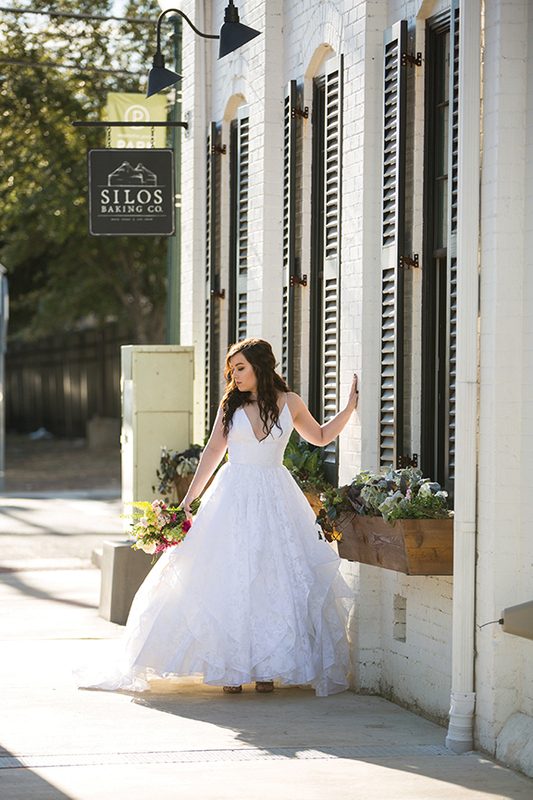 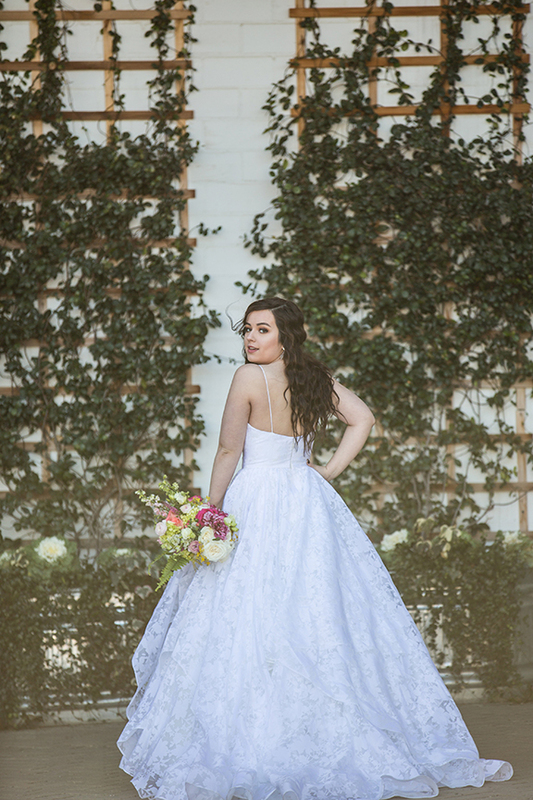 The bride’s plunging illusion neckline and full organza skirt looked elegant and playful set amongst the climbing ivy on the market’s white-washed walls. 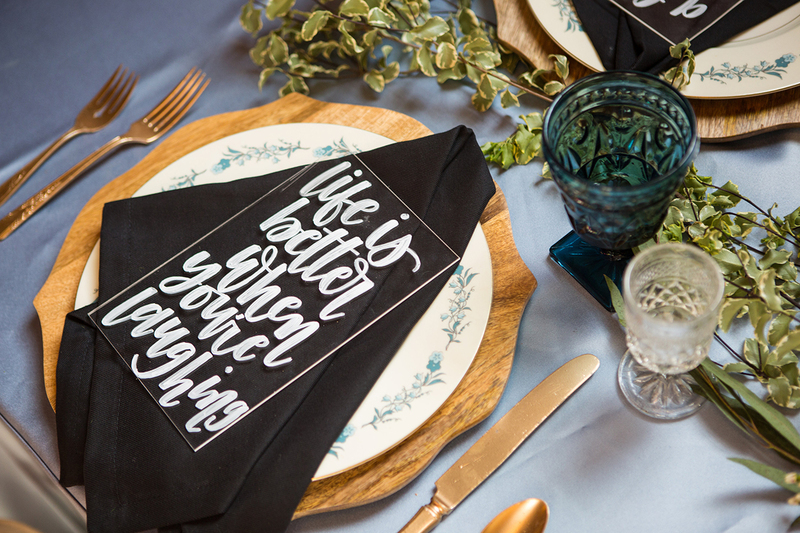 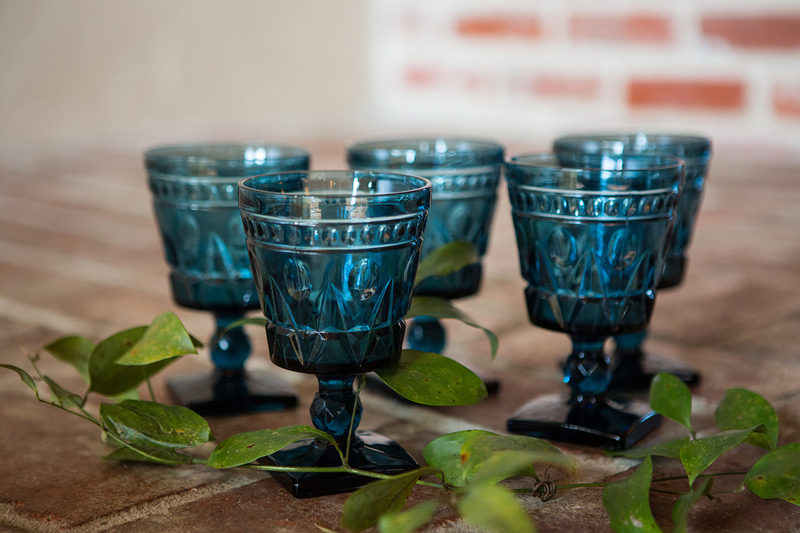 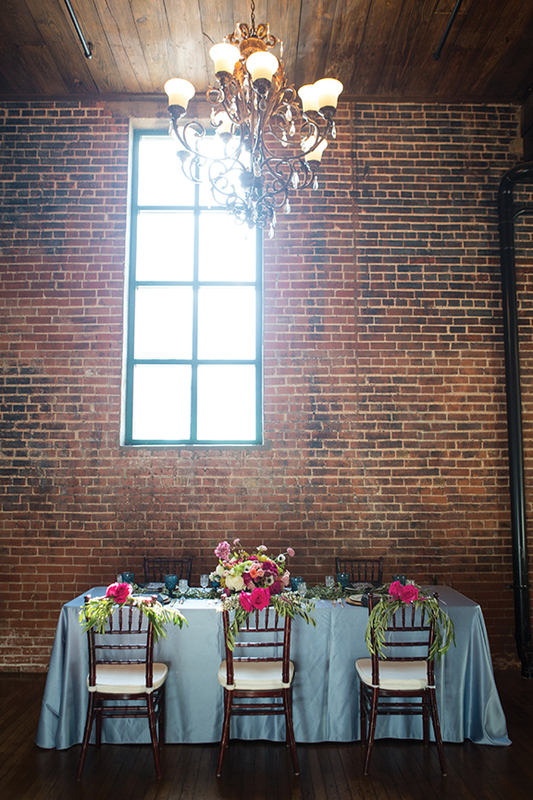 Touches of pale, dusty blue gave the ballroom a warm, sunny vibe. 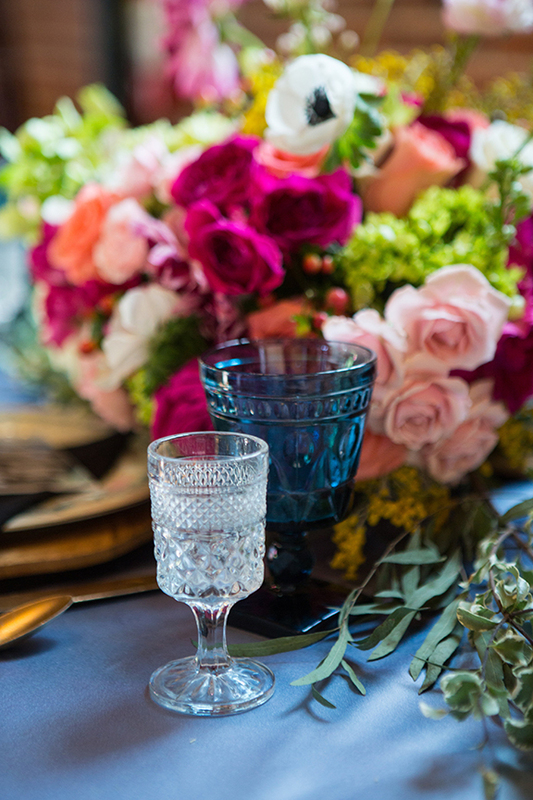 And copper-colored chargers and delicate floral-decorated china made the white lettered place settings stand out at the greenery-garnished reception table.